Sims remake of a vintage nautical striped seagull sweater. 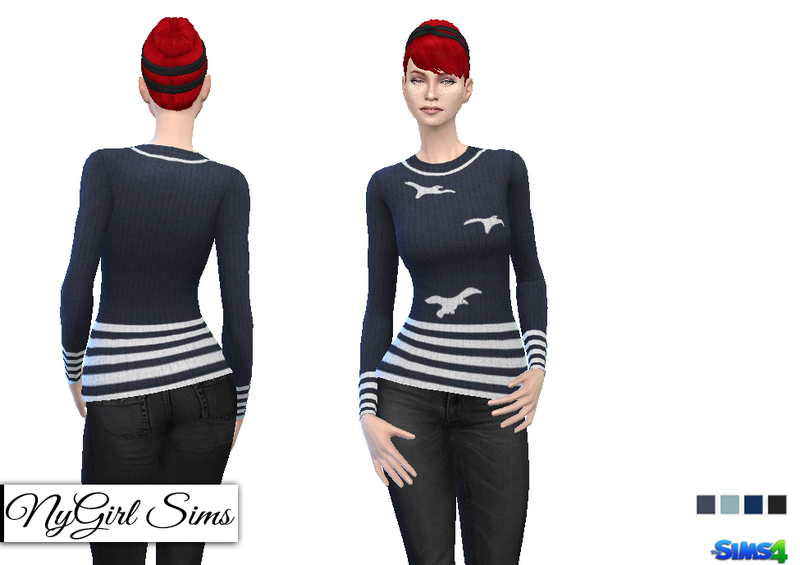 Made from a mixture of TS4 textures. Comes in 4 presets.